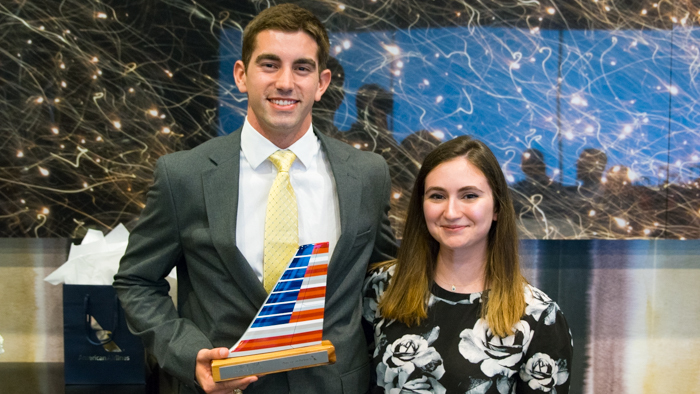 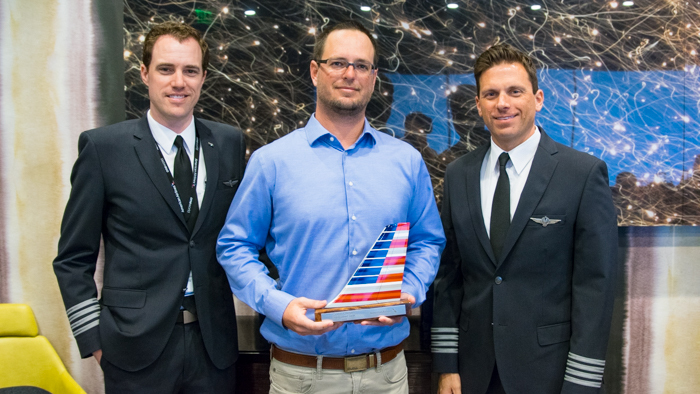 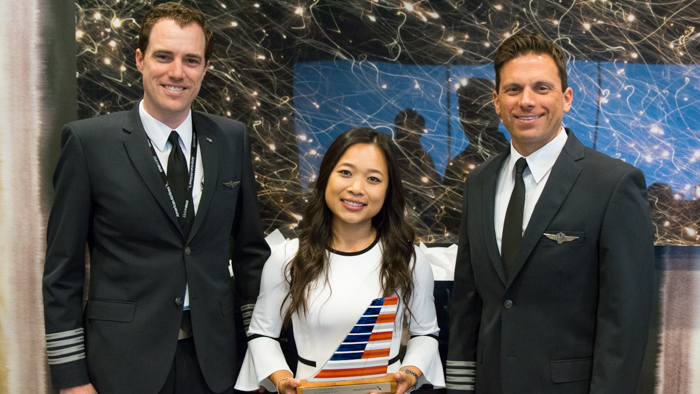 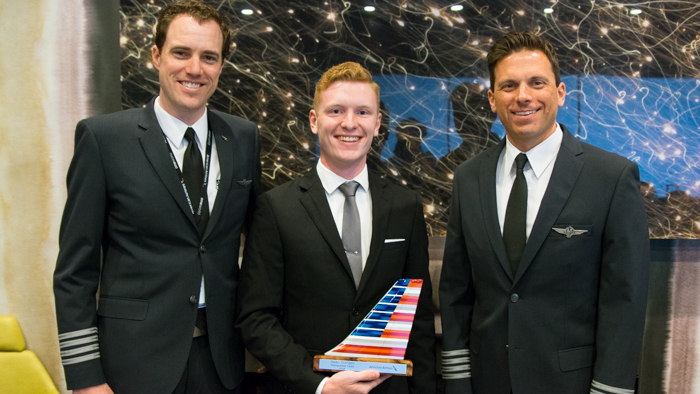 Last week, Captain David Tatum, American Airlines Director of Pilot Recruiting & Development, hosted a special luncheon to honor top-performing Cadet Pilots enrolled in an AAG Cadet Program. 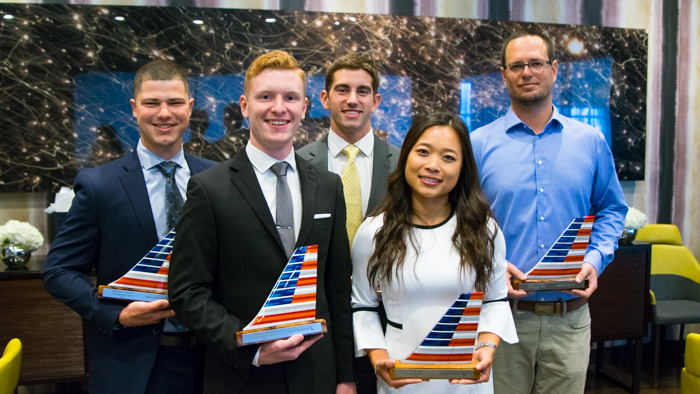 Nine cadets – including five from Envoy – were selected based on feedback from their peers, recruiters and partner schools, and each received a personalized trophy as a token of appreciation. 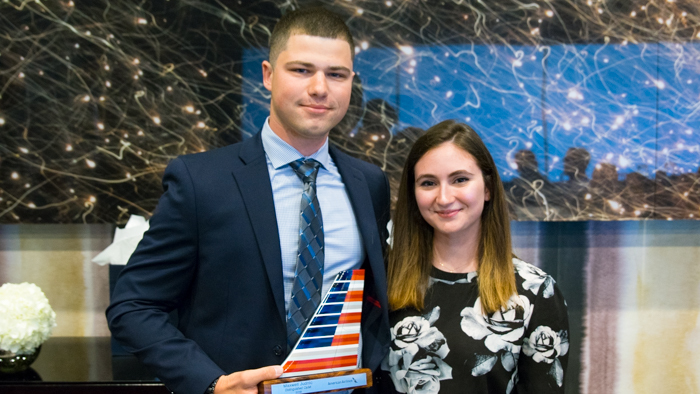 In attendance at the award luncheon was Brett Cavitt, Envoy Acting Director of Pilot Recruitment, and Marie Didonna, Envoy Cadet Program Manager, who congratulated the Distinguished Cadets and shared some of why they think they deserve the award.